Using idioms and phrases, we can express, in few words, an idea that would take otherwise a long sentence to put into words. 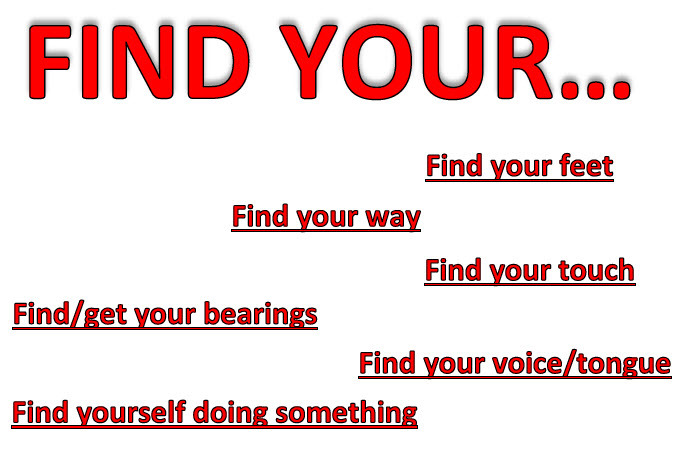 That's why in order to become more fluent in any language , it is always a good idea to learn the most common . 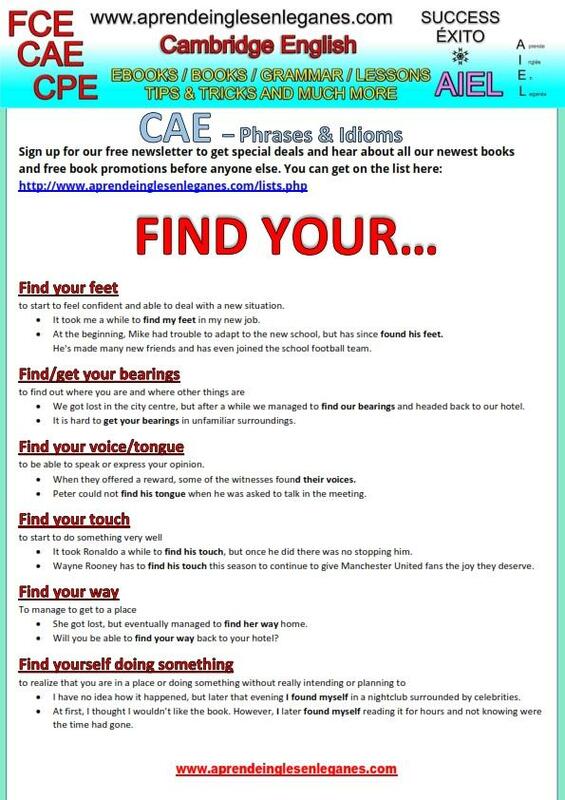 Have a look at the sheet below to learn new idioms and phrases beginning with "Find your".